Have you recently started trying to build your own Network Marketing business? Or have you been trying at it for a while and can see that you need to breathe new life into your work because you know you really didn’t start off as well as you could have? Do you have a lot riding on your success because you have a family to support or because you don’t have a whole lot of time before you’re in a severe, financial emergency? Is the pressure to produce some results causing you to lose sleep at night? Do you find yourself wondering how the top earners in most companies got there so quickly? Well, if this sounds like you, then please pay close attention to this entire letter because I want to share with you some information that would have helped me a lot if that I’d had access to it when I was first starting out. My name is Ray Higdon, and I am a professional Network Marketer. Truth is, I am one of the most successful home based business owners in our profession, and I have earned millions of dollars helping other people become top earners, too. It is my mission to help other people in our field learn how to recruit better, generate more leads, and make a lot of money in their chosen companies. With my success has come additional perks like cars, exotic trips, and invitations to speak at some of the most prestigious events that cater to people in our line of work. The training and coaching that I provide helps people around the world. And I even have lots of other millionaire entrepreneurs (who you know and love!) on speed-dial. Unfortunately, life wasn’t always so amazing for me. As a matter of fact, if you knew some of my personal history, you’d probably be surprised that I even have any success, at all. When I was a young person, I went through some really tough stuff. There’s no need to get into a whole lot of detail about it, but my home situation wasn’t very pretty after my parents divorced and my father remarried. …but then one day, I woke up. And I saw that who I’d become wasn’t good. In very short order, I stopped hanging out with people whose influence wasn’t productive, got THREE jobs, and began to be very serious about living up to my fullest potential. If you are one of the rare people who happens to be serious about making a career out of your home based business, you probably know that you need to advance in your company, quickly. You probably also know that the fastest way to success is to emulate someone who is already doing what you want to do. 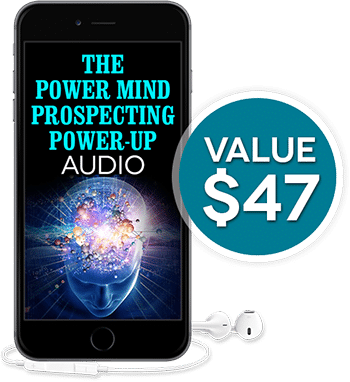 And because your approach to your business is unique to your personality and history, you clearly understand that the set of circumstances that has drawn you into Network Marketing can be both your motivation and your downfall. …and that’s the challenge, because not all training has the effectiveness that you require. Well, I would like to propose something that might shock you. While many leaders in Network Marketing mean well, the vast majority of them cannot train their way out of a paper bag. They have good hearts and intentions (in my opinion). But when it comes to leading leaders – which is exactly what I do – a specific skill set is required. That is your entire investment, today. 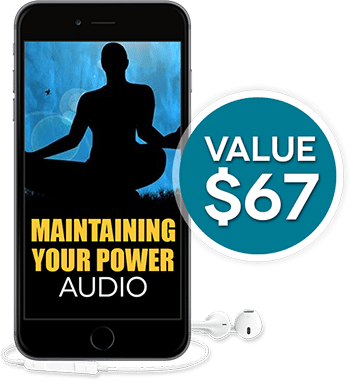 And, if you watch the videos, listen to the audios, and apply the principles contained in them, this course could change your entire life. Listen…each day that you don’t know how to purposely grow your business is costing you both time and money. There is absolutely no need for you to struggle your way towards mastery and achievement in our industry. I’ve already done the heavy lifting for you. All you need to do is IMPLEMENT. So, if you want to advance in your company in a well-planned, predictable way, simply click the button below to get started. You’ll be given immediate access to the course, and you will be able to take control of your future. This product will help you to be able to share with others why MLM is such an honorable business model. ..and its my privilege to be able to share it with you, now. Click the button to get started, now.